You can’t argue with the fact that clothes drying racks take up a ton of space. 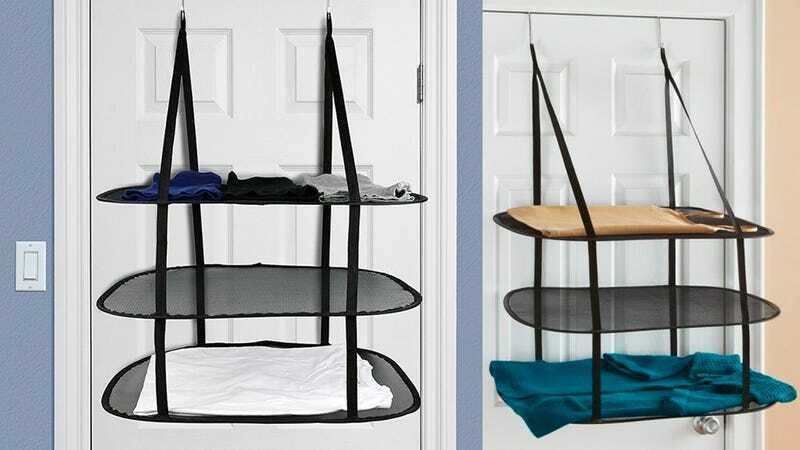 But this Greenco over the door drying rack takes up no floor space, and can be easily folded flat for storage, and will only set you back $9. Your sweaters will thank you.